Vijay Sethupathi who was last seen in the critically acclaimed film Super Deluxe under the directorial of Thiagarajan Kumararaja is now gearing up for the release of his next project Sindhubaadh. Back to back movies in the actor’s pipeline has made his fans very happy as they are set to witness their favorite actor once more on the screen in a very short span of time. Also, the title of the film has made them much curious and the anticipation level for the film has skyrocketed. The film is directed by S. U. Arun Kumar. This is the third time the actor and director have joined hands for a project after critically acclaimed drama Pannaiyaarum Padminiyum and super hit block buster film Sethupathi. 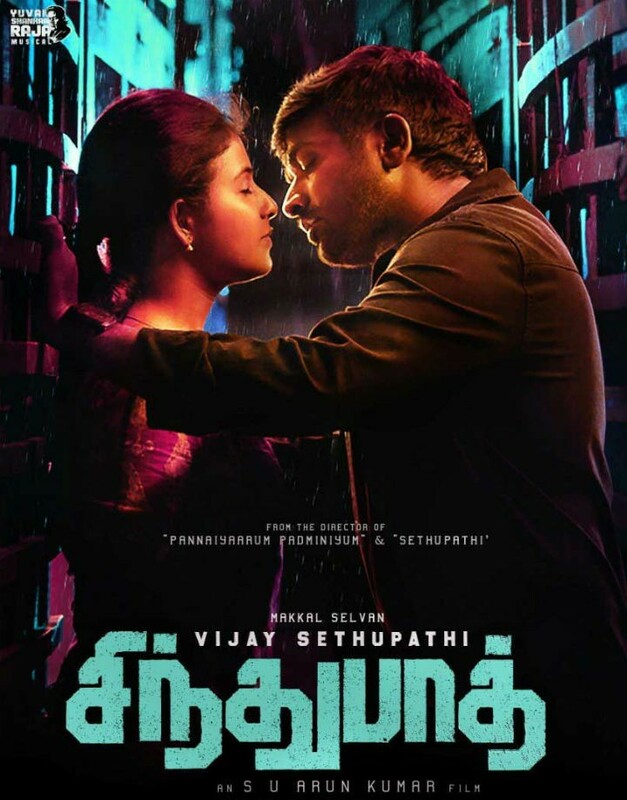 The teaser of Sindhubaadh that hit the internet earlier this month had a good reception among the audience. The teaser was filled with action sequences indicating that this film could be a highly packed action entertainer. The film unit has been keeping their mouths tight regarding the plot of the film. So we guess we will have to wait till May 16th to know what the film is about. Yeah, as mentioned above we have now got the official announcement on the release date of the film. The actor himself took to his twitter account and publicized the release date of the film along with sharing a poster from the film. Considering the summer vacations the production unit has decided to release the project a day earlier so the film is set to hit the screens on Thursday aiming at a four day weekend at the box office. Apart from Vijay Sethupathi the film has actress Anjali in the female lead while Lingaa and Vivek Prasanna will be seen in important roles. The music sensation Yuvan Shankar Raja has composed the music for the film. Vijay Karthik Kannan will be behind the cameras while the trimming work will be taken care of by Ruben. The project is bankrolled by SN Rajarajan and Yuvan Shankar Raja under the banners K productions and YSR films respectively. On the work front, actor Vijay Sethupathi has set foot on multiple languages this year as the actor will be seen in Sye Raa Narasimha Reddy a historical Telugu film starring Mega Star Chiranjeevi and in Marconi Mathayi a Malayalam film alongside actor Jayaram. Apart from this the actor is currently busy shooting for various projects such as Kadaisi Vivasayi, Maamanithan, and Idam Porul Yaeval.